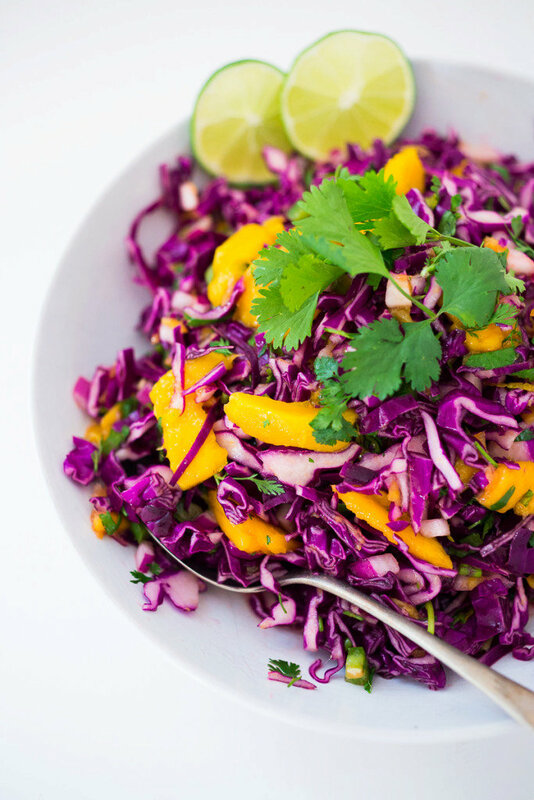 Successfully saved Caribbean Cabbage Mango Slaw to your Calendar. You can also save the ingredients to your Grocery List. A summer salad, perfect on Caribbean Shrimp Tacos or as a side salad for a BBQ. Healthy and Vegan! 1/2 of one very small purple cabbage- cored.